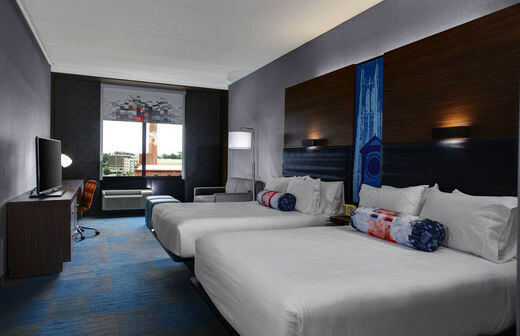 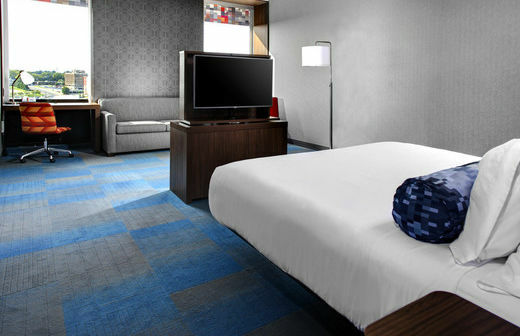 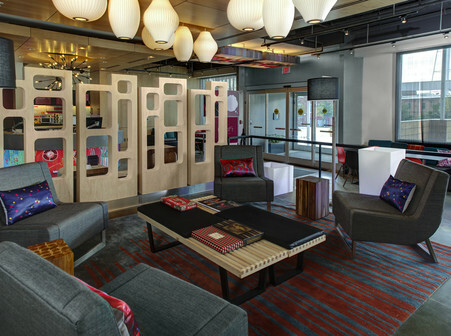 For the traveler open to possibilities, Aloft is a hotel that celebrates the individual and gives you freedom to control and customize your travel adventure to fit your personal style. 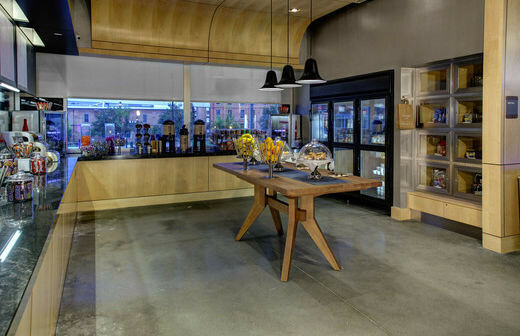 It is a place where walls have been knocked down to create a space that is open in design and open to possibilities. 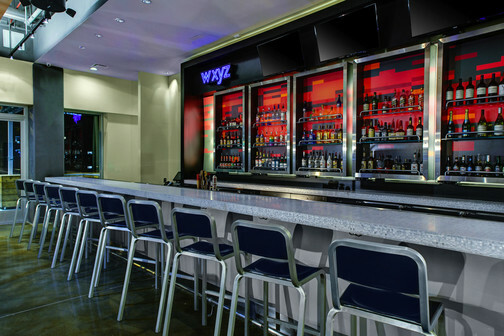 A place where energy flows, personalities mingle, and opportunities abound. 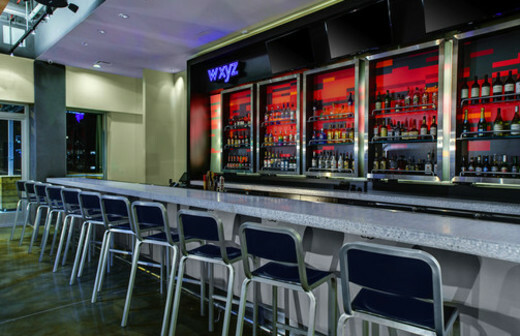 A place where anything can happen. 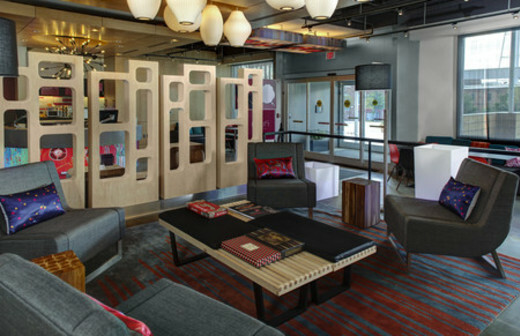 Description: Shake up your next meeting or training at Aloft Durham Downtown. 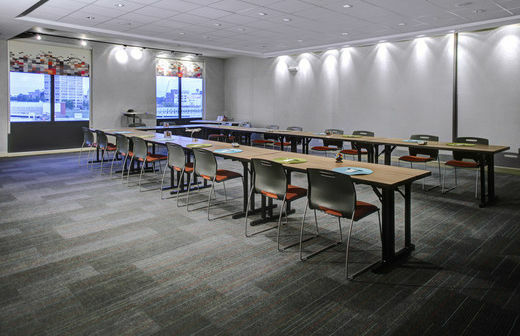 The 1,575 square feet Tactic meeting room can be split into two separate areas, allowing for groups up to 50 guests for a banquet and 60 guests in a classroom setting. 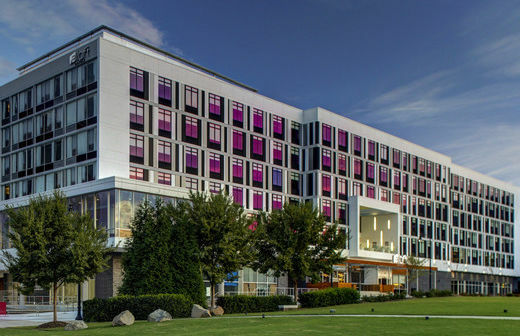 Their professional team is ready to handle all aspects of your meeting or event, including on-site catering, floor plan design, and room blocks for overnight guests. 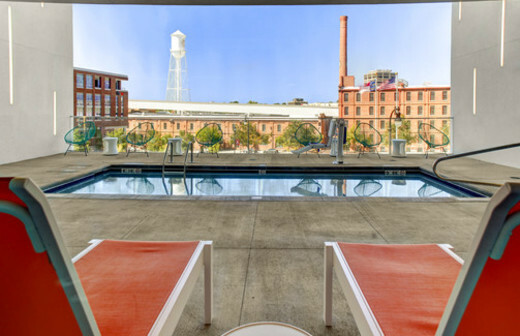 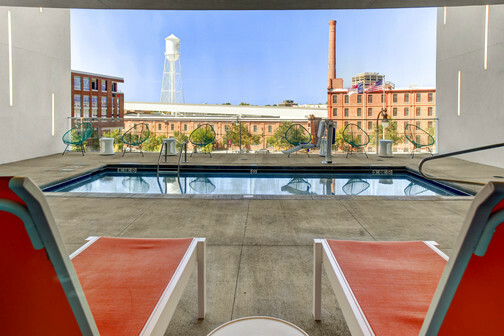 Our space is located on the 6th floor of the hotel with a sweeping view the American Tobacco Campus and the Durham Bulls Athletic Park.